"For conspicuous gallantry and intrepidity in action above and beyond the call of duty. 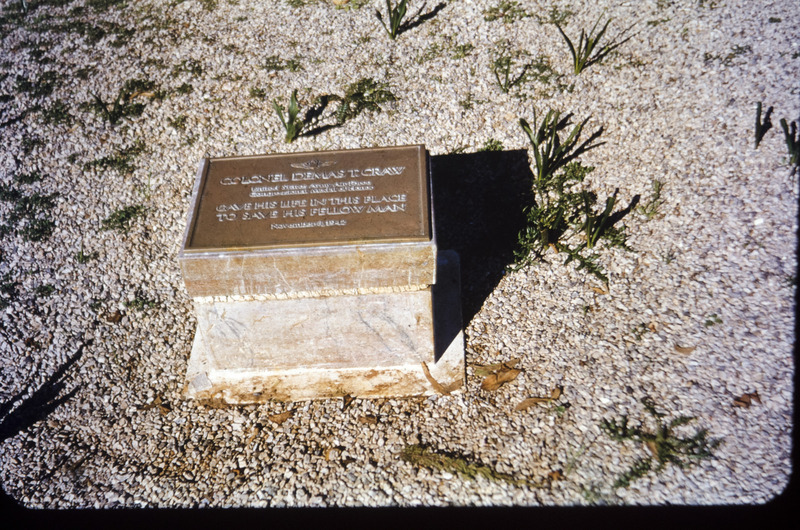 On November 8, 1942, near Port Lyautey, French Morocco, Col. Craw volunteered to accompany the leading wave of assault boats to the shore and pass through the enemy lines to locate the French commander with a view to suspending hostilities. This request was first refused as being too dangerous but upon the officer's insistence that he was qualified to undertake and accomplish the mission he was allowed to go. Encountering heavy fire while in the landing boat and unable to dock in the river because of shell fire from shore batteries, Col. Craw, accompanied by 1 officer and 1 soldier, succeeded in landing on the beach at Mehdia Plage under constant low-level strafing from 3 enemy planes. Riding in a bantam truck toward French headquarters, progress of the party was hindered by fire from our own naval guns. 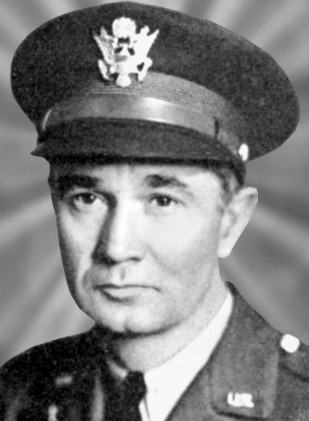 Nearing Port Lyautey, Col. Craw was instantly killed by a sustained burst of machine gun fire at pointblank range from a concealed position near the road." From Col. Craw's Medal of Honor citation, awarded on March 4, 1943. 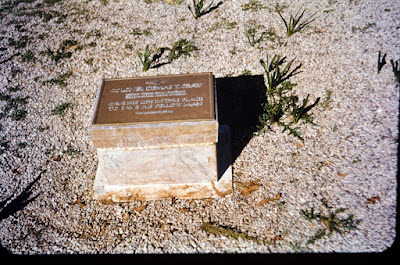 Memorial marker at Mehdia Beach, Morocco. 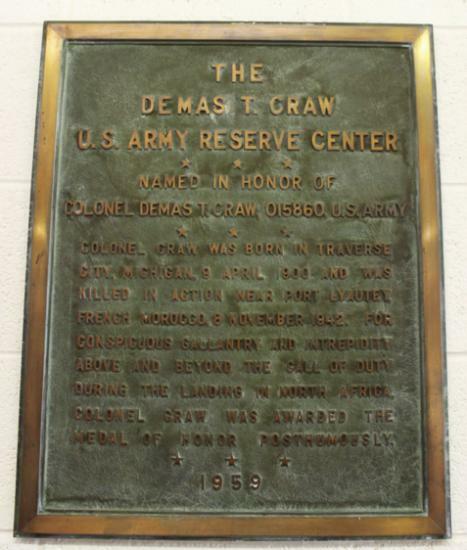 Memorial at the Demas T. Craw Army Reserve Center in Traverse City, Michigan.